For American teenagers, getting a driver’s license has long been a watershed moment, separating teens from their childish pasts as they accelerate toward the sweet, sweet freedom of their futures. With driver’s license in hand, teens are on the road to buying and driving(and maybe even crashing) their first car, a machine which is home to many a teenage ritual—being picked up for a first date, “parking” at a scenic overlook, or blasting the radio with a gaggle of friends in tow. So important is this car ride into adulthood that automobile culture has become a stand-in, a shortcut to what millions of Americans remember about their coming of age. 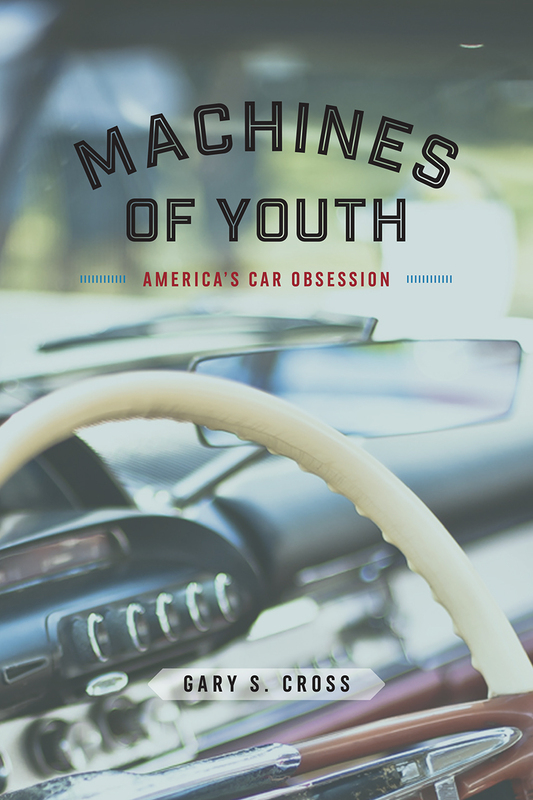 Machines of Youth traces the rise, and more recently the fall, of car culture among American teens. In this book, Gary S. Cross details how an automobile obsession drove teen peer culture from the 1920s to the 1980s, seducing budding adults with privacy, freedom, mobility, and spontaneity. Cross shows how the automobile redefined relationships between parents and teenage children, becoming a rite of passage, producing new courtship rituals, and fueling the growth of numerous car subcultures. Yet for teenagers today the lure of the automobile as a transition to adulthood is in decline.Tinkerers are now sidelined by the advent of digital engine technology and premolded body construction, while the attention of teenagers has been captured by iPhones, video games, and other digital technology. And adults have become less tolerant of teens on the road, restricting both cruising and access to drivers’ licenses. Cars are certainly not going out of style, Cross acknowledges, but how upcoming generations use them may be changing. He finds that while vibrant enthusiasm for them lives on, cars may no longer be at the center of how American youth define themselves. But, for generations of Americans, the modern teen experience was inextricably linked to this particularly American icon. 9 The End of Youth Car Culture?